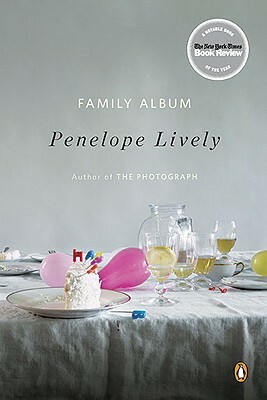 *NOMINATED FOR THE COSTA NOVEL AWARD* Family Album 'a hugely enjoyable read ' from Booker Prize winner Penelope Lively 'This novel should delight her regular readers and ensnare new ones' Evening Standard Allersmead is a big shabby Victorian suburban house. The perfect place to grow up for elegant Sandra, difficult Gina, destructive Paul, considerate Katie, clever Roger and flighty Clare. But was it? Now adults, the children return to Allersmead one by one. To their home-making mother and aloof writer father, and a house that for years has played silent witness to a family's secrets. And one devastating secret of which no one speaks . . . 'One of those ridiculously simple, ridiculously readable novels whose artistry only becomes apparent when you put it down' Sunday Telegraph 'A pleasure to read, hugely enjoyable, consistently absorbing, hilarious' Independent Penelope Lively is the author of many prize-winning novels and short-story collections for both adults and children. She won the 1987 Booker Prize for her highly acclaimed novel Moon Tiger . She is a popular writer for children and has won both the Carnegie Medal and the Whitbread Award. She was appointed CBE in the 2001 New Year's Honours List, and DBE in 2012. Penelope Lively lives in London.